This term we have had the topic of rainforests and in the rainforest there is plants. On the 6th of July John, kindly came in to talk to us about plants. he showed us what bees look for in a flower: smell, taste, look and many more. In one of these photos there are four potatoes and if you go and find the post called Potato Power you will find out what they do. 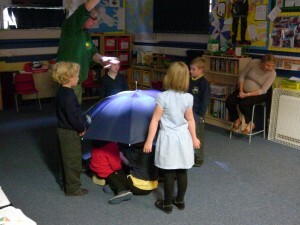 The other picture is of the infants doing a game about the light in a flower. 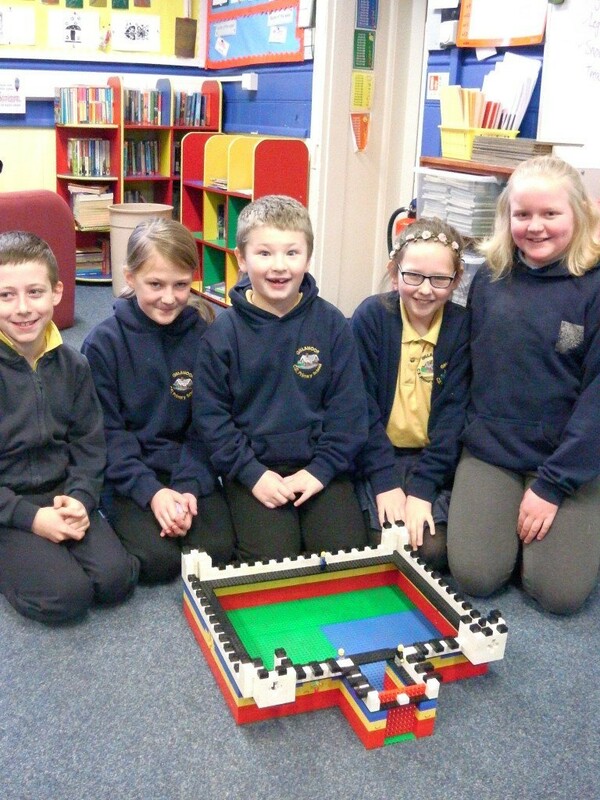 Friday 14th 2016 we made a Lego castle when the rest of the class went to gymnastics it has 4 wach tower . 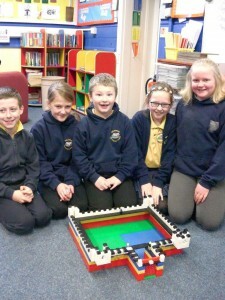 We made an amazing castle. 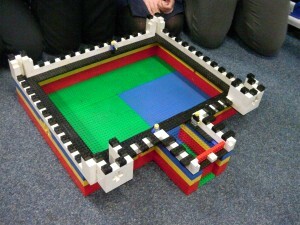 First we did the base for the castle which will be the floor. The order for the outside is red, yellow , blue and white and black missing a block each time. It is 11 bricks tall and the black bricks are 1/3 it has a walkway.We are going to add some steps and things that might be in a castle. Today the whole school came into the junior class to learn about Tim Peake and his space mission to the International Space Station. He is the first British person to go there and will spend 6 months on the station. The children all got to see the blast off live on the European Space Agency live feed. 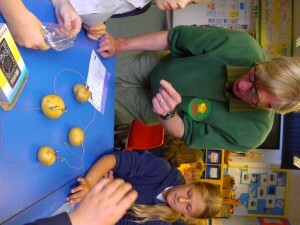 It was very exciting and some of the children were feeling nervous for Tim and his fellow astronauts. On Tuesday 15th of December 2015 Tim Peake the first British astronaut to go to the ISS]will turn went up to the International Space station and he will be living 400km above Earth on the ISS for the next 6 months. As he will be staying on the ISS for Christmas for Christmas dinner he will be eating a bacon sarnie and he has heard that a Christmas pudding is making its way on orbital. Did you know that Tim is going to run the London marathon in space! He’ll be on a treadmill, with a video of the London streets in front of him. To get water on space they will turn their wee into water! Tim Peake has blasted off in a 50m rocket. He is staying in the International Space Station for 6 months! He’s coming back in July. When he blasted off there was a lot of smoke and fire. He is going into space with Yui and Timothy. The rocket has gone very high. There is no gravity in space so they float in the rocket and in outer space. He will miss his family when he is in space.